I hope that we see at least one of these games at E3. E3 is a few days away and speculation across the gaming community is rife with what could be announced. Could Gearbox finally announce Borderlands 3 with a bombastic trailer? Could Bethesda own E3 by officially announcing The Elder Scrolls VI? It’s all possible at E3. You’ve got to remember this is the same event where back in 2015, Final Fantasy VII Remake and Shenmue III were both announced. This list is about games that haven’t been announced or have been teased but not officially revealed. There are some games on this list that will make you go, “nah, that’s not going to happen” or “oh, I remember that game. A sequel or a reboot to that would be cool”. As with every list, this is subjective but I hope you have good time reading this. Here is my E3 2018 wish list. This has a very small chance of happening but if it does, oh boy will I be happy. Project Gotham Racing 3 was one of the first Xbox 360 games I played and within an hour I was hooked. At the time I had never seen racing that looked as good as PGR 3 did, it was gorgeous. Then Project Gotham Racing 4 arrived and it impacted my life at that time quite a bit. I had always been into cars but PGR 4 and the TV show, Top Gear made me want to learn about cars in greater detail. I can’t say exactly how many hours I spent on PGR 4 but it was well into the hundreds, possibly over a thousand. I loved playing PGR 4 on my own, with friends and people online. PGR 4 was a game where I forged a number of friendships and strengthened the ones I already had. Project Gotham Racing 4 isn’t just one of the best racing games I have ever played, it is one of the best games I have ever played overall. If Microsoft announce Project Gotham Racing 5 or a remaster of 4 (I’d be happy with that) at their E3 conference I will be over the moon. Bloodborne is one beautiful game. I was a tad late in playing Bloodborne, I played it for the first time last year and it exceeded every expectation I had for it and then some. The setting, the combat, the bosses and the music, dear god the music is brilliant. By the end of Bloodborne, I had fallen in love with it. Bloodborne is one of the best PS4 exclusives and is a must-play for everyone. Since completing Bloodborne I was wondering if we could get a sequel. I would be over the moon if we did but I would be completely fine if Bloodborne was just one and done. Bloodborne was near perfect, the only major gripe I had with the game would be that the frame rate dips in places. Bloodborne 2 would have to surpass the first game which is a might tall order. Even if Bloodborne 2 fixes the frame rate issue, it has got to provide a world and lore that was as deep and rich as the first instalment. Could we see Bloodborne 2 at E3? It’s definitely possible. Bloodborne sold very well and enough to warrant a sequel. Let’s not forget that developer From Software are working on a new game that is apparently called Shadows Die Twice. Could that be Bloodborne 2? E3 2018 is a few days away and if Shadows Die Twice turns out to be Bloodborne 2, I will be one very happy guy. The Elder Scrolls V: Skyrim promotional art work. Image source: The Elder Scrolls Official Website. It’s hard to believe that The Elder Scrolls V: Skyrim came out seven years ago. Since then we have had countless remasters and ports of Skyrim (insert meme here), The Elder Scrolls Legends and The Elder Scrolls Online. Since Skyrim, developer Bethesda Game Studios has expanded and has gotten much bigger and created Fallout 4 and are developing Fallout 76. Now BGS are working on multiple games and we know two of them already, Fallout 76 and Elder Scrolls VI. Elder Scrolls VI was casually announced by Todd Howard to be in development back at E3 2016 during a discussion with Geoff Keighley. Howard said in that discussion that Elder Scrolls VI is “a very long way off“. Two years have passed since Howard said that and two years is a long time. We know it’s in development (we knew it would be even if Todd Howard didn’t confirm it) but it hasn’t been officially announced by Bethesda themselves. Could we see a teaser trailer for The Elder Scrolls VI at E3 2018? I wouldn’t rule it out but I’m not expecting it either as I don’t want to be disappointed if it doesn’t show up. It’s been three years since the fantastic Mortal Kombat X was released. Last year we had the brilliant Injustice 2, developer NetherRealm Studios’ other fighting game. If we are going by release patterns and whatnot (speculation territory here) then we are due to hear about another Mortal Kombat game soon. Mortal Kombat is a fun and brutal fighter that glorifies violence, the level of violence is part of Mortal Kombat’s identity as no other fighting game pushes the boundaries of what’s acceptable more than Mortal Kombat. The Mortal Kombat series is on a roll with NetherRealm releasing two very good entries. Mortal Kombat 9 is seen by many Mortal Kombat fans as the best entry in the series, it was a return to form for the beloved fighting game series. Mortal Kombat X changed up a few things and gave us a good story mode and a tonne of content. Both instalments are loved by Mortal Kombat fans so obviously fans (myself included), are awaiting the next game. I think we will see a Mortal Kombat 11 announcement at E3 with a cool CG trailer like they did with Mortal Kombat X. If it doesn’t get announced at E3 don’t worry, EVO 2018 is in August. If it doesn’t show up at E3, it will show up there. We know Gearbox are working on Borderlands 3. Gearbox knows that we know that they are working on Borderlands 3. So why won’t they show it off already? Borderlands 3 was confirmed to be in development by Gearbox back at PAX East 2016 and in 2017, they showed off a tech demo and it was done in the Borderlands art style. Many people have speculated that this was our first and only look at Borderlands 3. Randy Pitchford has said that Borderlands 3 won’t be at E3 but I get the feeling he is trying to throw us off the trail. Am I wishful thinking here? Possibly but it has been six years since Borderlands 2 so we are definitely due another game soon. I want to shoot raiders with a silly amount of guns, with my friends whilst having an inordinate amount of sarcasm and sass thrown at me. Come on Gearbox, show us Borderlands 3 already. I love L.A. Noire, the game is like nothing else I’ve played and it has some of the best and most believable characters in gaming. It’s been seven years since L.A. Noire and I thought that it was a one and done scenario which I would have been okay with. However, Rockstar re-released L.A. Noire for current gen consoles last year which took me by surprise. Maybe I am over thinking this but what if that the re-release was Rockstar’s way of testing the waters to see if there is still any interest in the series? You can’t rule that theory out but if they were indeed “testing the waters”, I think Rockstar got the message that people are still keen on L.A. Noire. 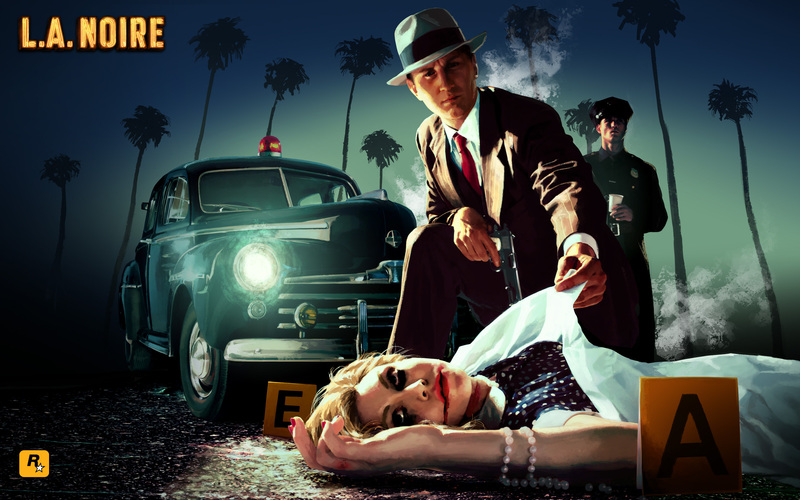 Could we get a sequel to L.A. Noire? I’d say it’s 50/50 at the moment. Will see an announcement at E3? I think it is highly unlikely as Rockstar Games tend to skip E3 and many of their development studios are busy working on Red Dead Redemption 2. That being said however, never say never. We got a Shenmue III announcement at E3 2015 so anything is possible. It’s been too long, way too long and the remaster of Devil May Cry 4 and the HD remasters of the first three games only strengthened that sentiment. Did you know that it has been ten years since the last “canon” Devil May Cry game? Ten years, I remember pestering my dad to get me Devil May Cry 4 when I was back in high school. The last “canon” Devil May Cry came out when I was in high school and since then I have finished high school, done three years at college and graduated from university. It has been way too long. Devil May Cry is a series that both me and my dad like and both of us have been eagerly awaiting Devil May Cry 5 but our prayers have not been answered. However Devil May Cry director Hideaki Itsuno and his team are working on an unannounced game. Could that game be Devil May Cry 5. Could we see Dante return at E3 2018? Well Capcom recently registered domains for the Resident Evil 2 Remake (which we know is happening) and Devil May Cry. It just so happens that these domains are registered a week before E3. Coincidence? I hope Devil May Cry 5 gets revealed at E3 as I have really missed Dante. Another year, another E3 and once again I hope for a sequel to Square Enix’s (Squaresoft at the time) The Bouncer. The chances of this happening are pretty much 0.000001%. Still, with odds that low I still believe, I still have hope. Is this folly? More than likely but The Bouncer was one of the first PlayStation 2 games that I played and it left a big impression on me. Square Enix published the amazing Sleeping Dogs. Imagine a sequel to The Bouncer using the combat from Sleeping Dogs. It would work so well. Will we see The Bouncer 2 or a reboot at E3 2018? If so, it will be at the Square Enix E3 showcase. Let’s be honest, it won’t appear but I will keep adding it to my E3 wish list until it does. I love the Dino Crisis series, running around shooting dinosaurs is awesome. The first game was a survival horror with dinos which worked very well. Dino Crisis 2 is more of an action shooter but is still a lot of fun to play even today (I did a Retro Review of Dino Crisis 2 earlier this year). 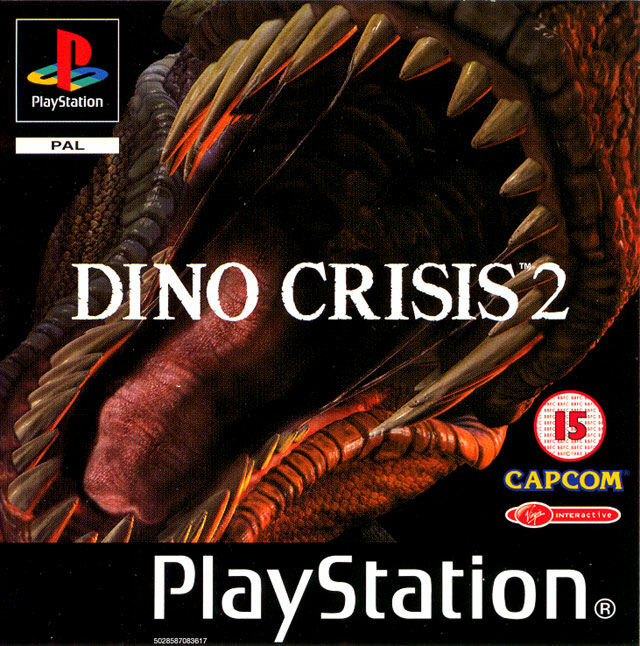 Dino Crisis 3, well, it could have been a lot better. Since Dino Crisis 3, the series has been pretty much extinct (cheap dinosaur related pun). We’ve seen nothing and heard pretty much nothing. Twitter user and Dino Crisis fan Jawmuncher tweeted Capcom late last year, asking if there is going to be a new Dino Crisis game. Capcom replied with “if a lot of people wish“. The fact that Capcom acknowledged the Dino Crisis series in 2017 is a very promising sign. It could be nothing but it’s a faint sign of life and I am happy with that. We may or we may not see Dino Crisis 4 or a reboot at E3 but if it is happening, it will be at either Microsoft’s or Sony’s E3 2018 showcase. Like The Bouncer, Dino Crisis will be on my wish list until we get another game in the series. All I ask for Capcom, is that Regina is still the main character. Another series that is very close to my heart. Dark Cloud was a fun JRPG that mixed dungeon crawling with city building elements. Its sequel, Dark Chronicle (Dark Cloud 2 in the US), changed up the art style and brought in voice acting. Both games are fantastic and you should play them Luckily both of them are available on the PS4 along with the developer Level-5’s other JRPG, Rogue Galaxy which is equally excellent. The last Dark Cloud game came out in 2003 which means it has been 15 years since the last entry. It’s crazy to think that Dark Chronicle release 15 years ago, I feel old. The re-releases of both Dark Cloud and Dark Chronicle were a blessing and a curse. I could play the games again but this time they look a bit better and have trophy support. However, playing these games made me realise just how badly I want a Dark Cloud 3. I know Level-5 are a very busy studio but Level-5 CEO has expressed that “he wants another Dark Cloud as much as we do“. I still have hope, I will never lose hope of another Dark Cloud game. Just like The Bouncer and Dino Crisis, Dark Cloud 3 will remain on my gaming wish lists until the game gets released. Back to the eternal wait. Sleeping Dogs was a sleeper hit. No one thought that it would do as well it did. The game sold millions of copies and got re-released on PS4 and Xbox One. Even though it didn’t meet Square Enix’s unrealistic expectations at the time, it did really well for a new IP. It looked as if we would be getting a Sleeping Dogs sequel as developer United Front Games started working on a multiplayer game set in the Sleeping Dogs universe. It has promise and apparently the team were also getting ready to plan another Sleeping Dogs game. Sadly however, United Front Games was shut down and the chances of Sleeping Dogs 2 getting a sequel faded away. There is a glimmer of hope. In a completely unexpected move, Square Enix announced that there will be a Sleeping Dogs movie and it will star legendary martial arts film star, Donnie Yen. The film has started production but there is no word on a release date as of yet. If they are doing a film, why not have a game release along with it so they can promote each other. Is a return to Hong Kong on the horizon? I hope so, I really do. Sleeping Dogs went from a game I was looking forward to, to one of my favourite games of the last generation. I will be absolutely giddy if they announced Sleeping Dogs 2 at E3. If just one of these games gets shown off at E3, I will be happy. If they all get announced (highly unlikely) then I will predict the numbers of the lottery to see if I can win the jackpot.